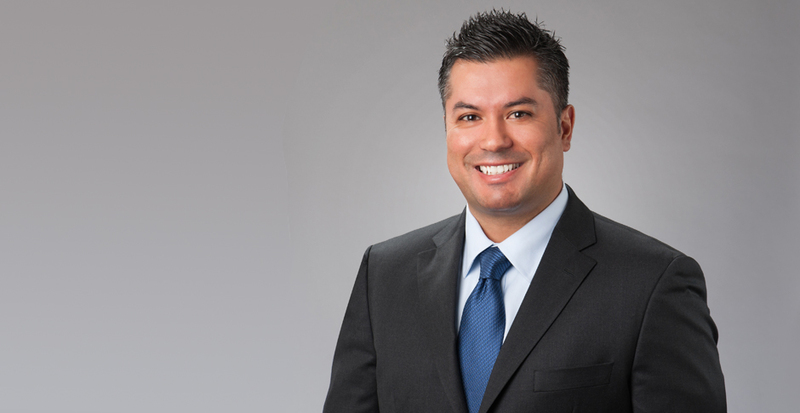 Asir Fiola is a Partner in Selman Breitman’s Orange County office and is a member of the firm’s General Liability, Product Liability, Toxic Tort/Environmental, and Trucking and Transportation practice groups. He represents insurance and private clients in all areas of civil litigation, including cases arising out of automobile accidents, construction accidents, construction defects, subrogation claims, breach of contract, premises liability, employment disputes, wrongful termination, assault and battery, false arrest, and exposure to toxic substances, including asbestos. His clients include rental car companies, product manufacturers and suppliers, retail stores, transportation companies, and individuals in the public eye. While based in Orange County, Asir has experience in representing clients in disputes that involve catastrophic injuries, employment issues, or business disputes all over southern California. Asir’s extensive experience in general liability provides him with a unique ability to focus on the medical aspects of a case, to determine whether a party's claimed injuries are truly related to a particular accident/incident, or whether the party's injuries are unrelated. Being able to review and, more importantly, understand the applicable medical records, Asir is often asked to perform a pre-litigation review of medical records, to assist in settling a claim before it gets to the courts, thereby saving his clients time and money. While Asir is skilled at negotiating settlements, he is not afraid to try a case, when necessary. He has over 10 years of trial experience. He works closely with clients to prepare for deposition and trial testimony in a way that puts his clients at ease in a process which can be daunting. After trial, Asir is also experienced with drafting appellate briefs, which makes him a uniquely versatile asset to the firm. Asir is called upon by clients and insurance companies to give presentations on various subject matters relating to civil litigation, including the amount of damages that a plaintiff is entitled to recover for past medical treatment and has published materials relating to the circumstances under which administrative agencies, rather than the courts, may definitively interpret federal statutes. Asir resides in and grew up in Orange County, but his family is originally from El Salvador. He is fluent in Spanish. When not helping clients with their legal needs, he spends his time playing basketball, working out, hiking, and making sure that his teenage son, Nick, stays out of trouble. Represented a well-known actress in a premises liability case. Plaintiff tore the medial meniscus in his right knee, while working in our client's backyard. He claimed that the property was negligently maintained, and made a $1 million demand. At trial, argument was made that plaintiff was fully healed from his injury, following arthroscopic surgery and a few months of physical therapy. After the start of trial, plaintiff's demand was reduced to $475,000, which still far exceeded the value of the case. After six days of trial, a verdict was obtained that was substantially less than plaintiff's bottom-line demand. Represented client department store in a suit in which plaintiff, a cashier, was suspected of stealing money from the cash register. Plaintiff was questioned by security personnel, and later terminated for theft. Plaintiff sued for wrongful termination, racial discrimination, and false imprisonment. A motion for summary judgment was filed, arguing that plaintiff was not detained for an unreasonable period of time, and that he was not discriminated against because of his race. A dismissal with prejudice was obtained in exchange for a nominal amount, with the summary judgment motion pending. Defended a client who was severely injured while a guest at his friend's home, walking through a clear glass sliding door and suffering scarring to his face. Settlement of $300,000 was obtained on client's behalf. Plaintiff was injured when a "shepherd's hook," a metal rod used to get clothes down from higher areas of client department store, fell and struck plaintiff on the head. She claimed a significant brain injury, along with soft tissue injuries, following the incident. During investigation of the matter, divorce documents were located that contradicted plaintiff's claimed lost earnings. After four days of trial, a favorable settlement was obtained on behalf of client department store. Represented various manufacturers and suppliers of construction materials in cases alleging toxic exposure to asbestos. Many cases resulted in an early dismissal of the client after depositions were taken, while others resulted in favorable settlements well before trial. "Christensen v. Harris County: Pumping Chevron for All It's Worth - Defining the Limits of Chevron Deference,"; Journal of the National Association of Administrative Law Judges, Vol. 21-1, Spring 2001, No. 1. Admitting Fault Does Not Mean Accepting Plaintiff's Damages Selman Breitman Shines the Spotlight on Diversity in Orange County Law360 Publishes Asir Fiola: "Demanding Fairness in Evaluating Past Medical Damages" In An Admitted Liability Case, Selman Breitman Emerges Victorious When Plaintiff Seeks Millions Even the CA Supreme Court's "Take-Home" Asbestos Decision Cannot Stop This Selman Win! Volunteered to be a mentor to underprivileged students in the Project HOPE School Foundation. Project HOPE is a school designed to provide children without permanent homes with the educational opportunities that many families take for granted. Mr. Fiola stays active through regular gym workouts and weekly basketball games. He started playing golf in 2007, and he hits a decent shot on occasion. He enjoys supporting the UCLA Bruins' athletic teams, and loves to read. Mr. Fiola has one son, Nicholas, with whom there is never a dull moment.